One thing we are missing since we have moved from the city are slushies from 7-11 stores. 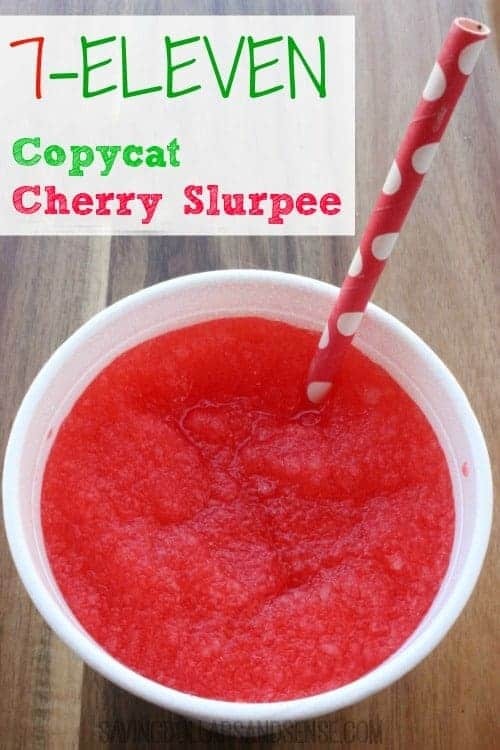 There aren’t any close by, so I was pretty excited when about this Copycat Cherry Slurpee recipe! Ideally chill club soda in freezer for 15 minutes. 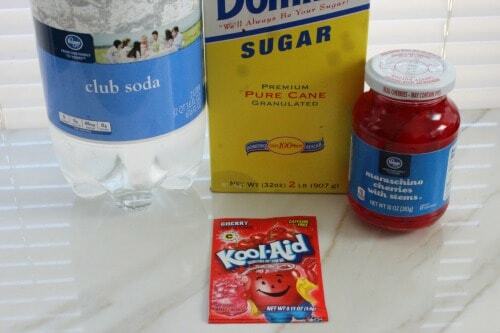 Blend together club soda, sugar, Kool-Aid powder and the cherry juice in a blender. Add the crushed ice and pulse until smooth.